“Home buying can become such a daunting task, and more so for first time home buyers. Yet from the moment we met with Blake, we were at ease. Blake listened to our home buying needs and made the homesearch process an enjoyable one. Within a few days, we found our dream home. From the first home viewing and all through escrow, Blake and his team were readily available to answer our questions. Blake and his team keep their clients best interest in the forefront. 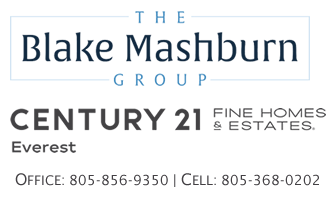 We highly recommend Blake Mashburn and his outgoing, courteous, and professional team for your home buying or selling needs.” ~Cynthia D.